If Only Tulips Could Talk! It is said that if Tulips could talk they would tell many a tale about their origin but since they cannot, this shall remain a mystery, except to say, that it is likely that their origin lies somewhere in a corridor which spreads between Northern China and Southern Europe. Drawing is not my forte. Tracing an image is about as good as it gets. 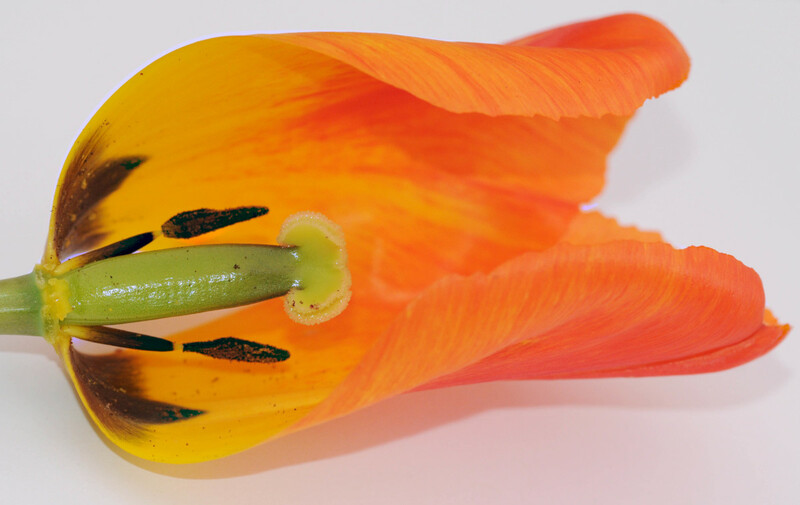 This is why I have begun this project with a Botany lesson where I I was able to dissect a Tulip in order to reveal the inner and outer beauty of a Tulip. Once done, I was able to understand what I needed to create a Tulip which comes as close to the original as nature intended it. 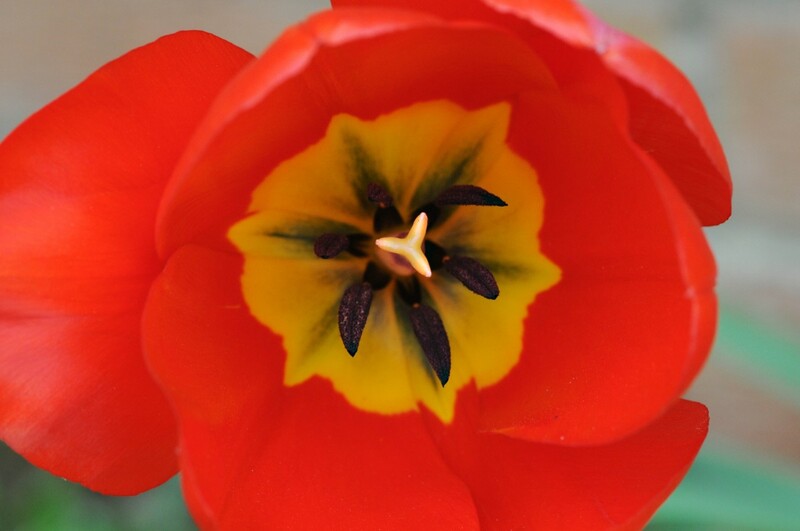 Remove the Petals so that the Tulip can allow you into its secrets. How Did Nature Assemble This Beauty? 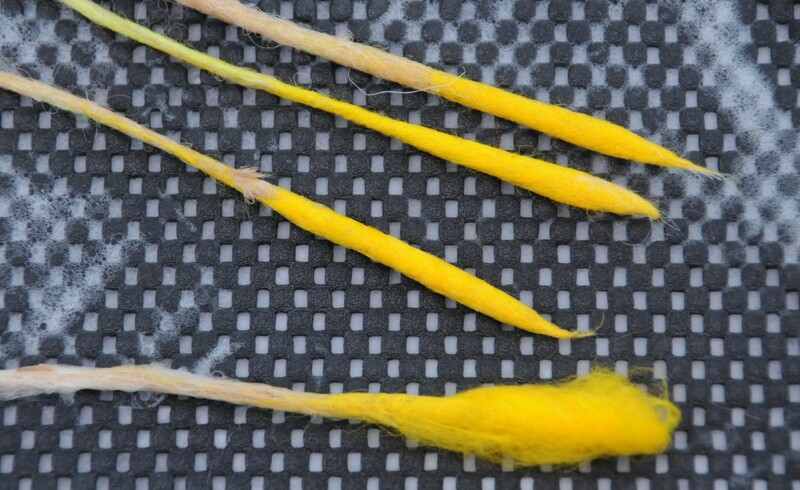 You will see that each stamen has been carefully arranged around each Style. 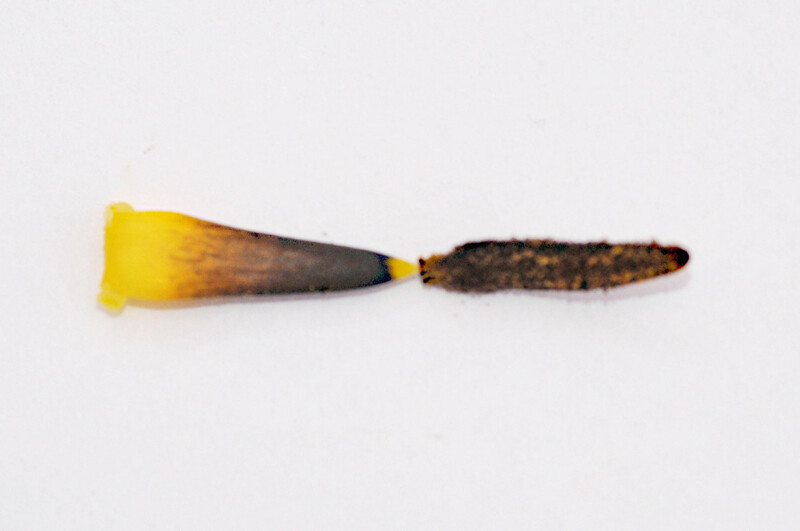 1 Stamen is assigned to each petal making a total of 6. 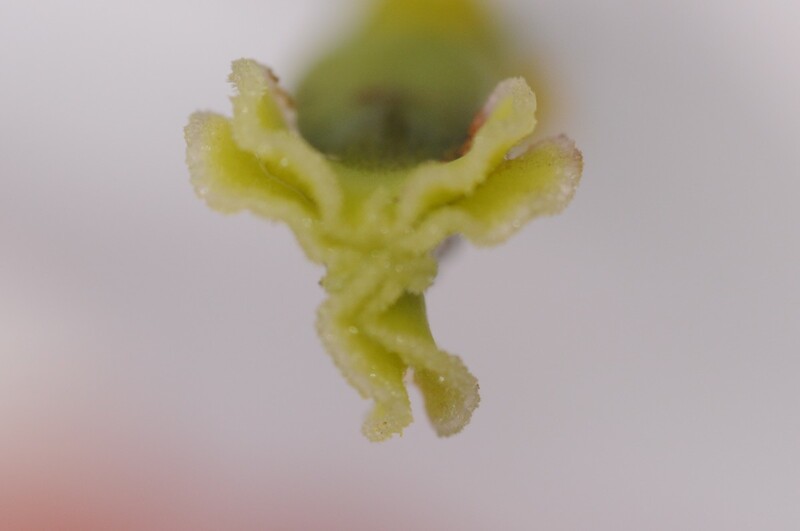 This image gives one a clear indication of how the Stamen (Anther and Filament) should be constructed when you start to recreate your very own Tulip. 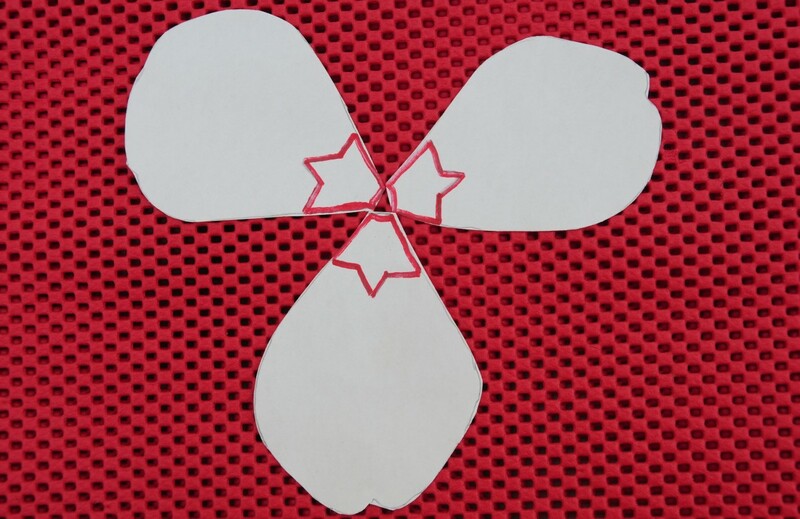 Make a template using the parts of the flower. Trace around all the items. 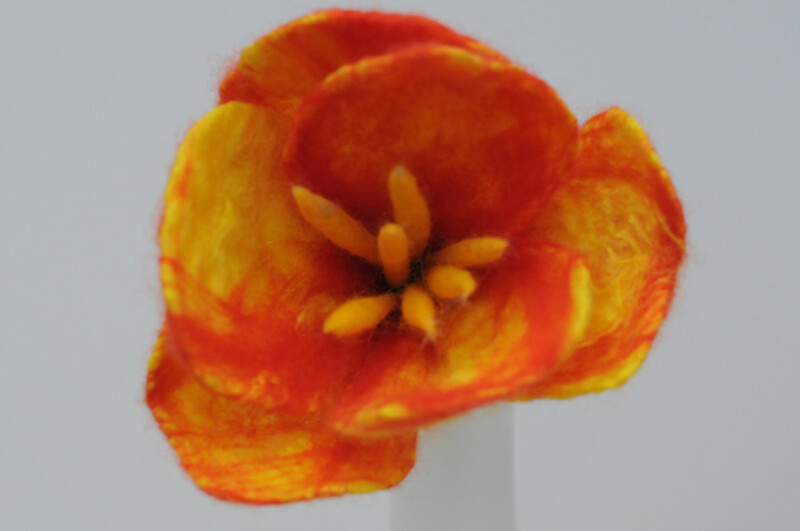 In order to recreate a Tulip using Wet felting as your method of choice, dissect the Tulip and draw around the items. Make a note of how nature intended the colours to be. 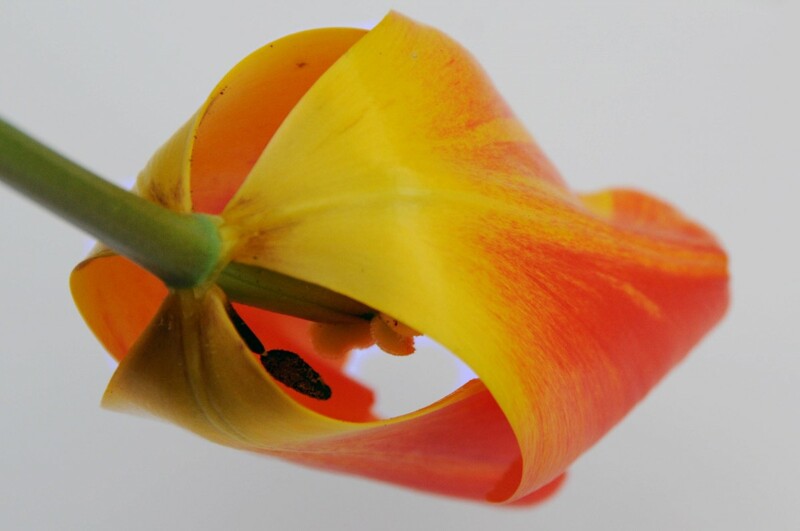 Look from the underside side of the tulip to see how the petals are attached to the stem. 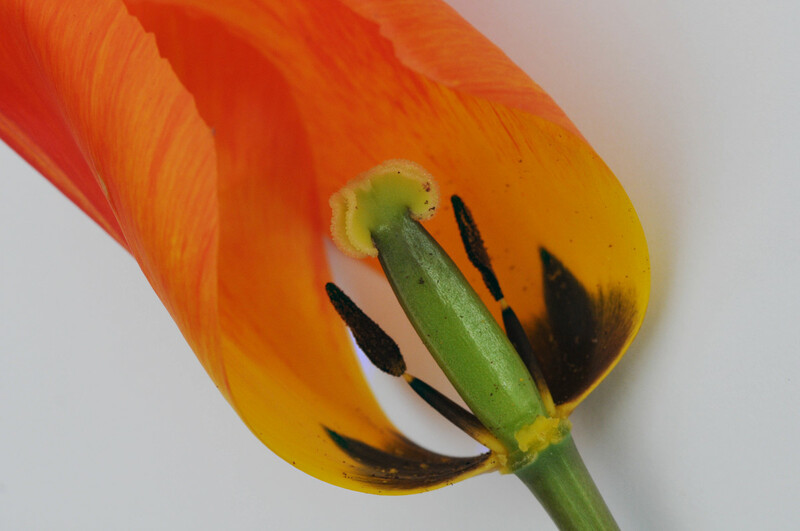 When drawing around the Petal, make a note of the coloration. 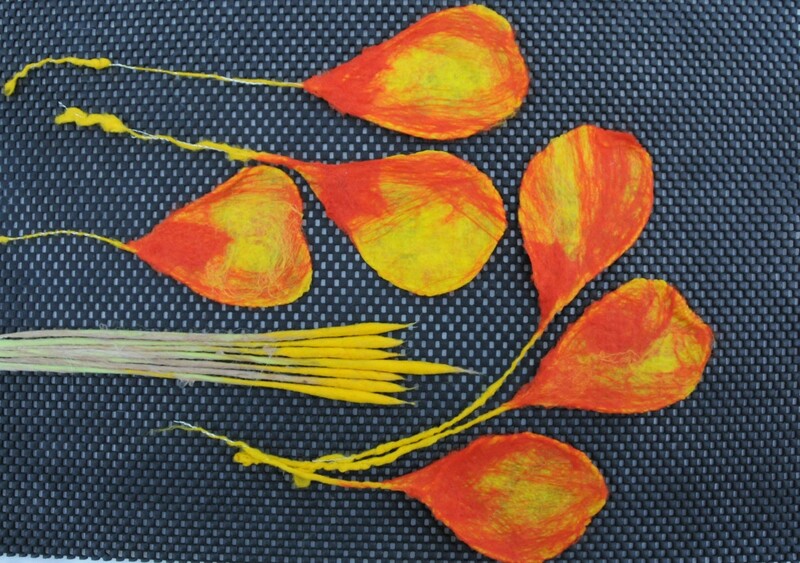 Draw the Petals, Stem and Stamens and add the design. 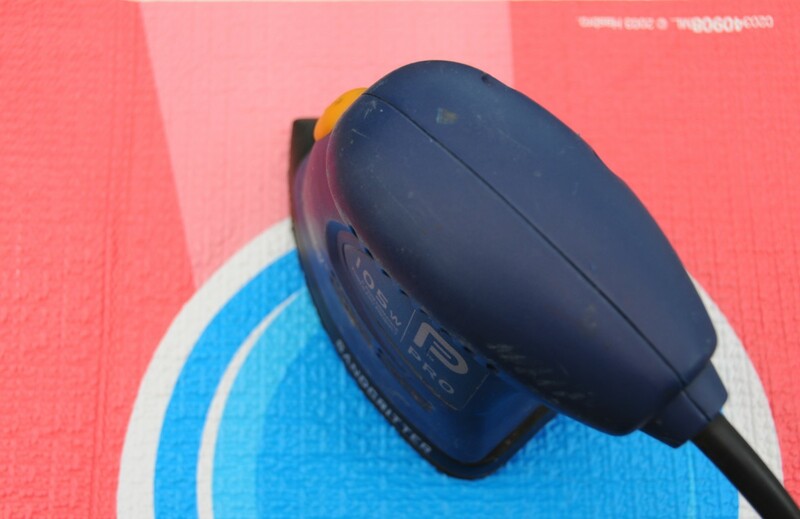 Electric palm sander and a thick sheet of plastic, clear or patterned. 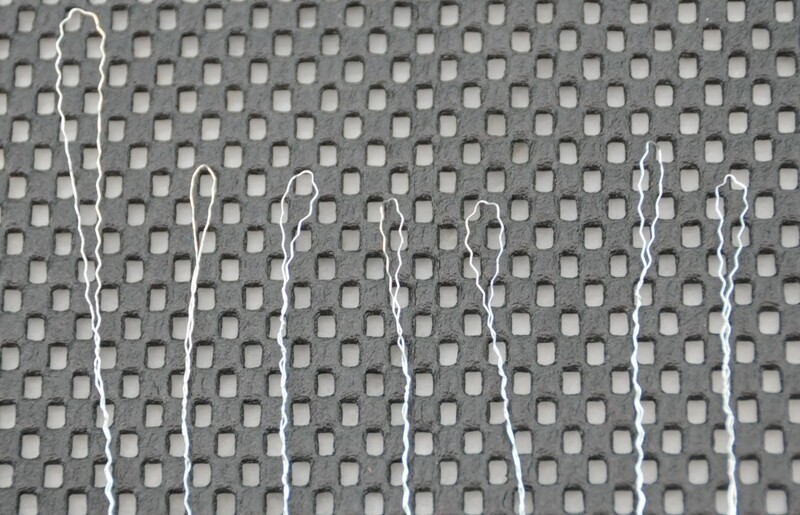 Make 6 wire petals using the silver wire as shown below. 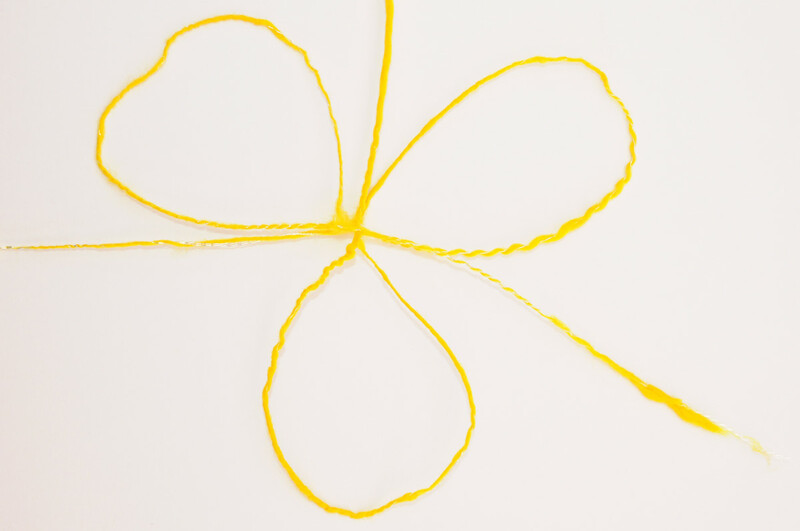 Twist and tie the wire to form each petal. 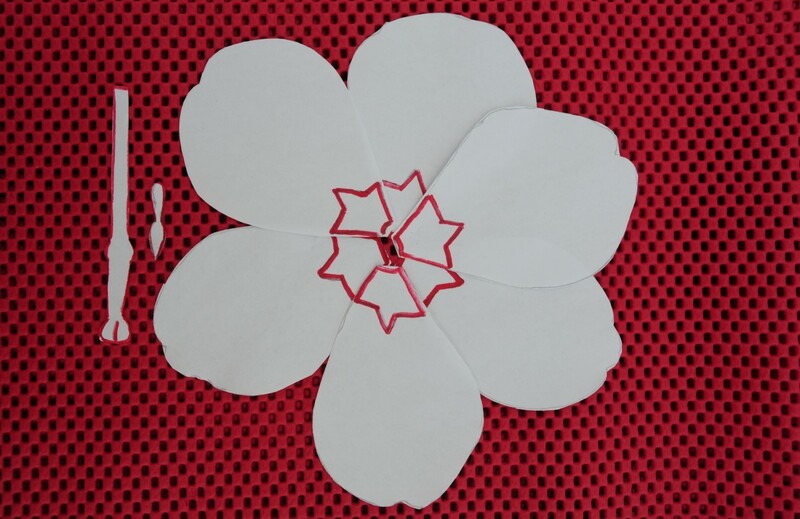 Use the template as a guide to creating petals which follow the lines of each petal. 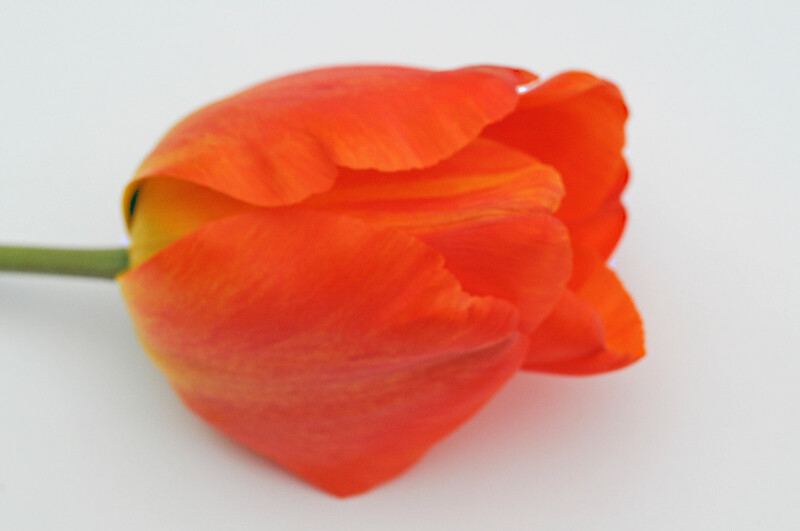 The frilled edges of the wire will give the tulip it's frilly appearance. The wire should be firm enough to keep its shape. 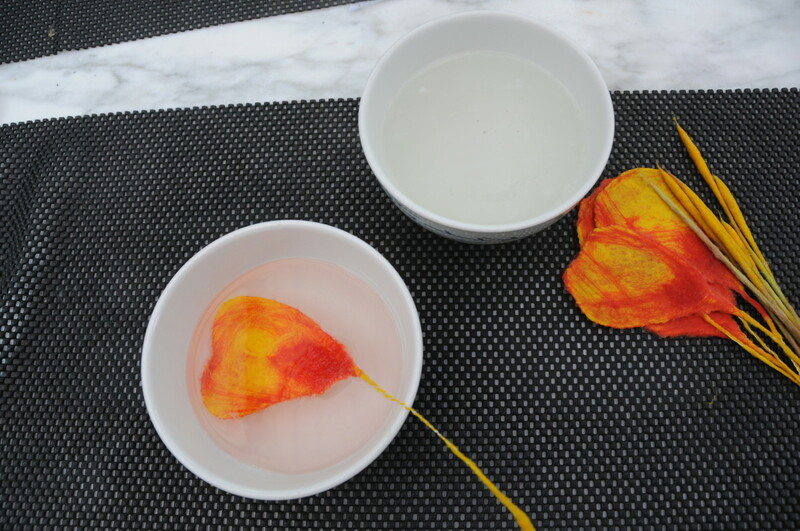 For a realistic look, keep the petals as thin as possible. 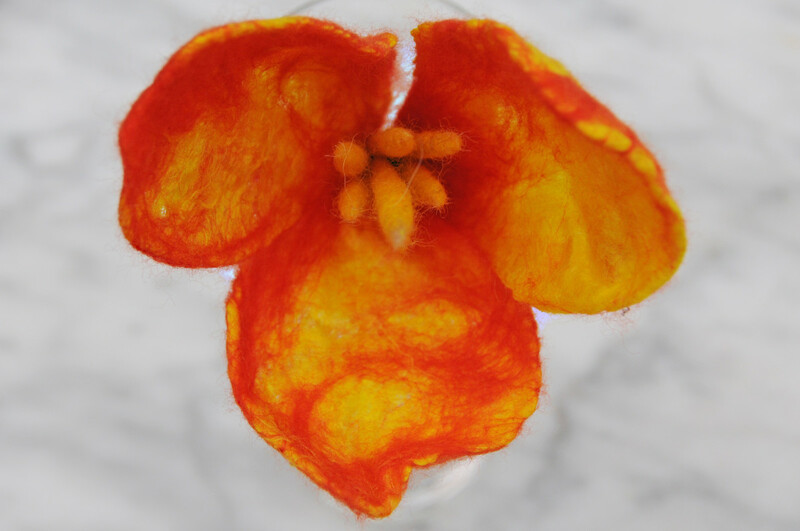 Cover the wire petals with a fine layer of merino wool roving. 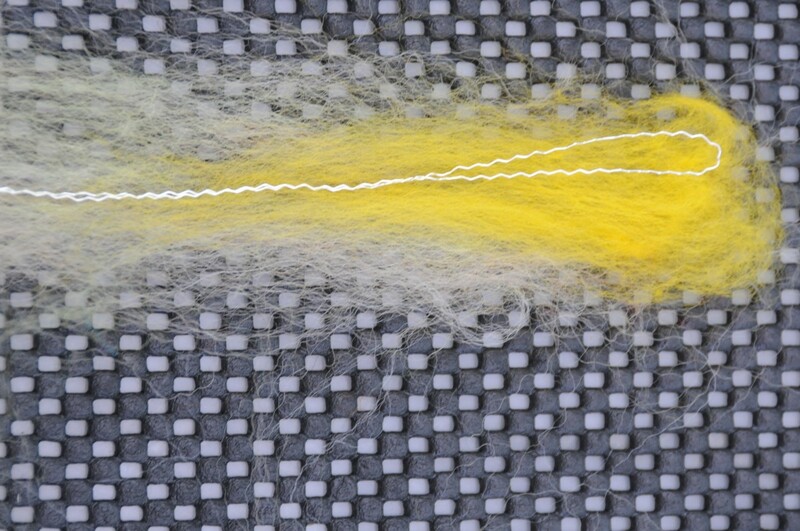 This will allow the petals to adhere to the wire when the fibres are put down. 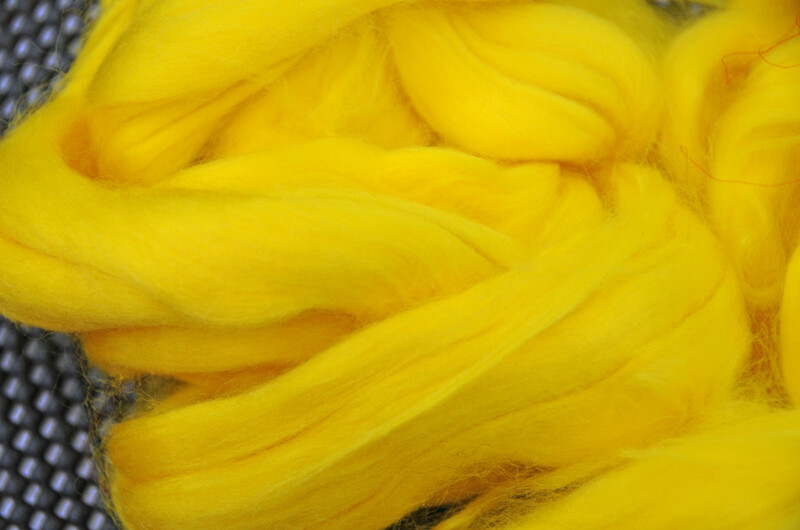 Silk and Merino roving were used for the Petals. 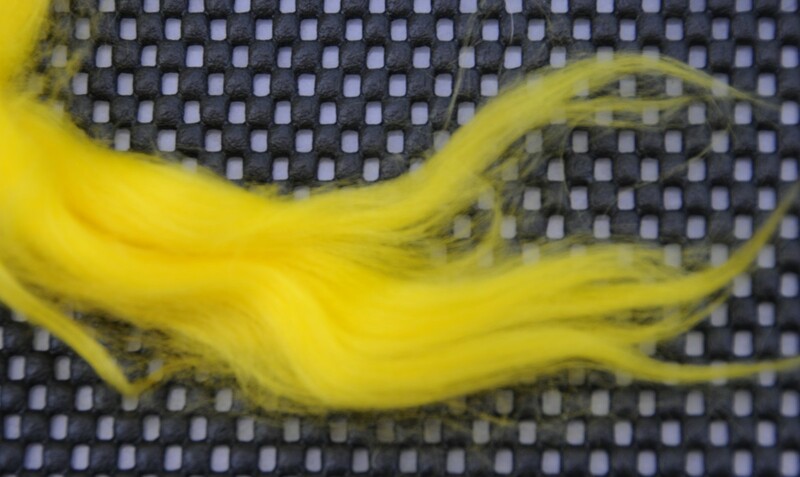 The silk fibres and a lovely sheen and are perfect for this project. Take the opportunity to pick flowers and press them for when the flowers are no longer in the season. Keep them between pages in a book or buy a flower press. You will be glad you did if your aim is to make flowers which look just like the original! 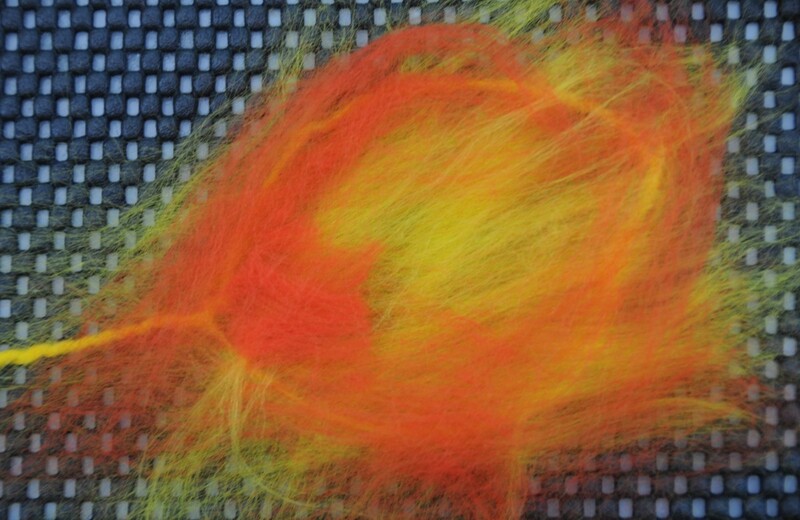 It is generally accepted practice that one should not cut wool roving, with a pair of scissors. 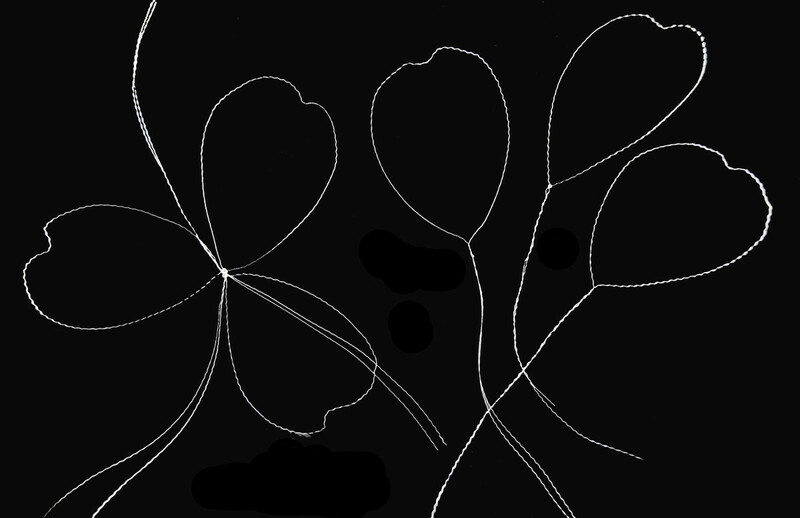 It is better to pull the fibres apart. I made an exception in this case. 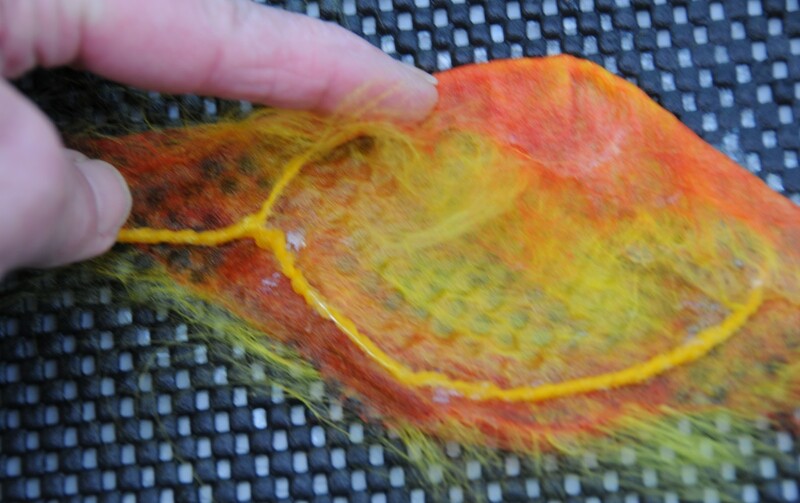 Begin by wrapping 1 fine layer of merino or silk roving around the frame. 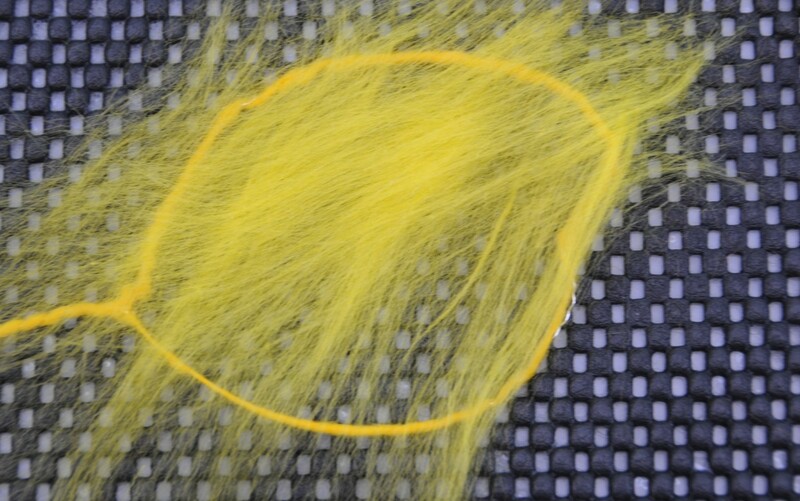 Then add a fine layer of silk or merino which should extend to just beyond the edge. Put these down so that they lay in the opposite direction. Use red merino roving for decoration. Use very fine slivers. 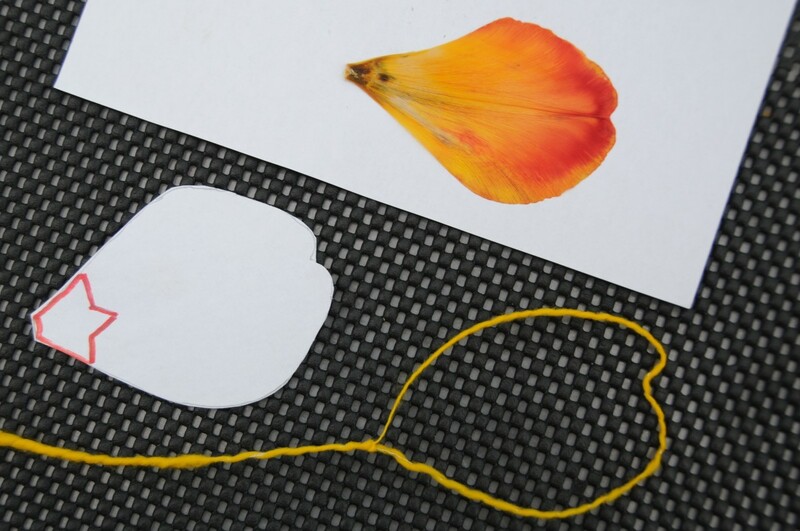 Complete the centre of the tulip by cutting a small piece of red roving for the centre from a fine layer of wool as shown in the images below using the tiny template piece. Use grated olive oil soap diluted in very hot water. Put it into a squeeze bottle. 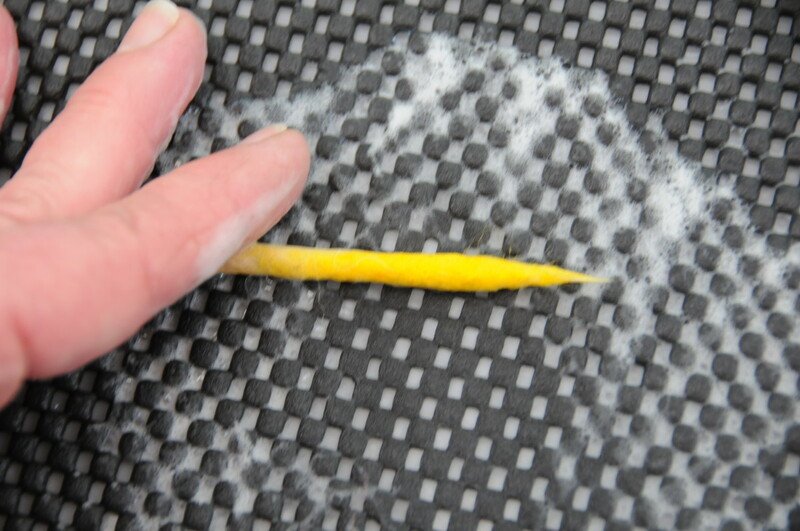 Olive oil soap is kind to the hands and the fibre. Prepare all the petals and only then proceed with the sanding process. It will save you lots of time. Use the squeeze bottle to add hot soapy water to the centre of each flower. Do this one at a time and set them aside. Ensure that the edges are as neat as you can make them. 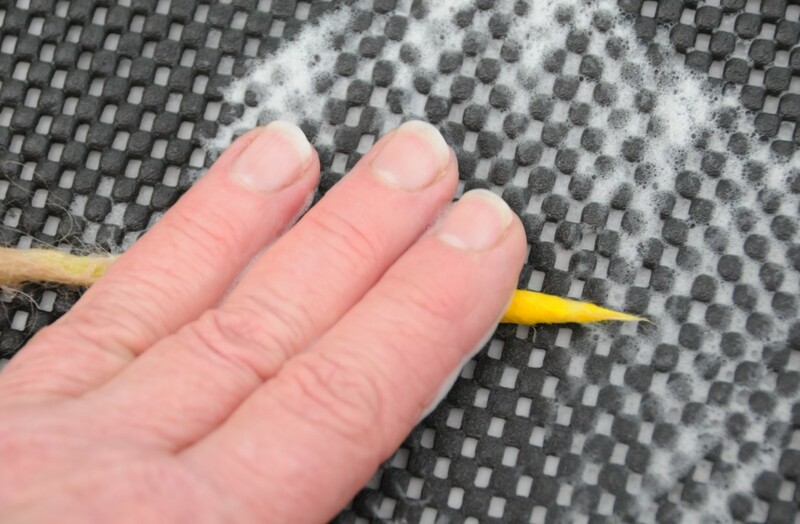 Use a thick sheet of plastic to prevent the Palm Sander from coming in contact with electricity. Always use safe practice when you use a Palm Sander near water. Ensure that the plugs are earthed and that you wear rubber soled shoes and never stand in water. Lay the petals between a thick piece of plastic sheeting. 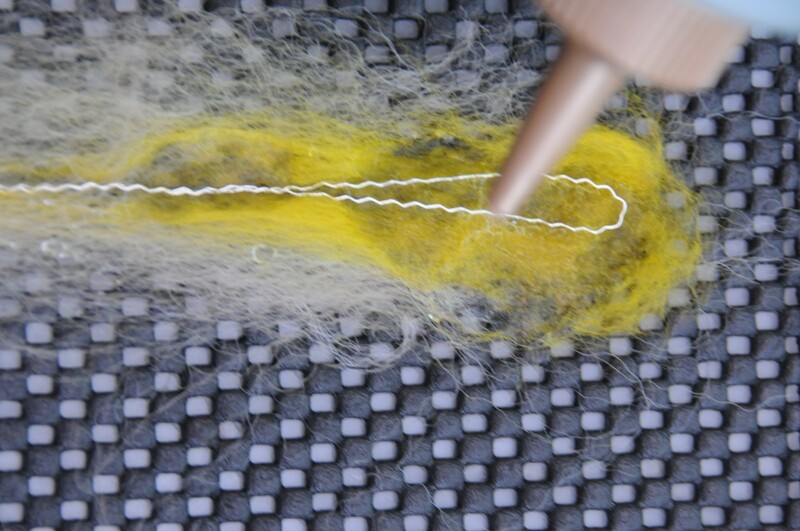 Check to make sure that the fibres have fused together. This will take around about five minutes. 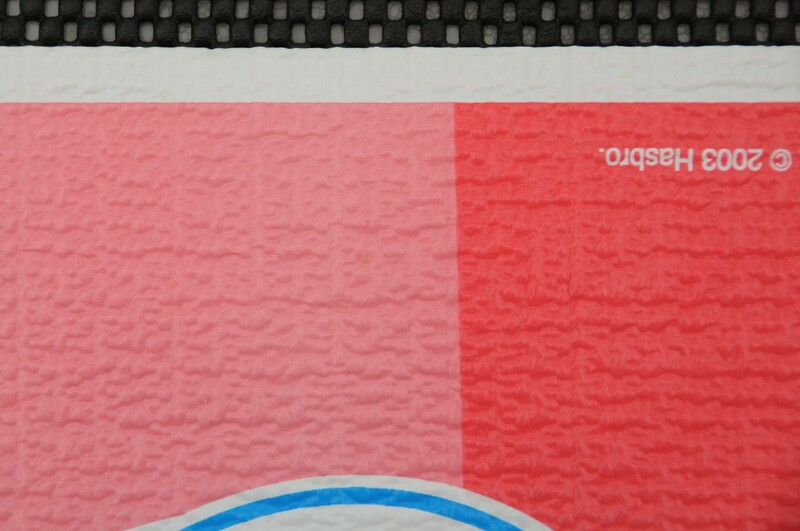 It may take less time if your plastic sheeting is thinner than that which is shown here. 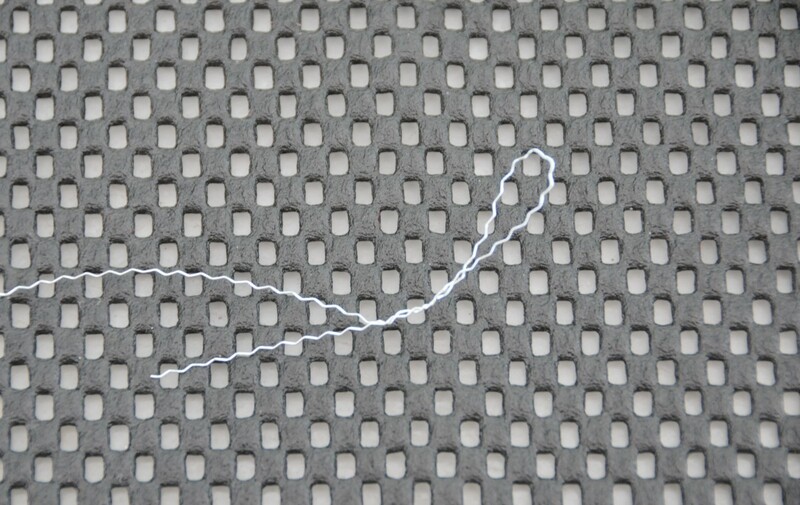 Do a pinch test to see if the fibres has fused together, if not, continue until they no longer move under your fingers. 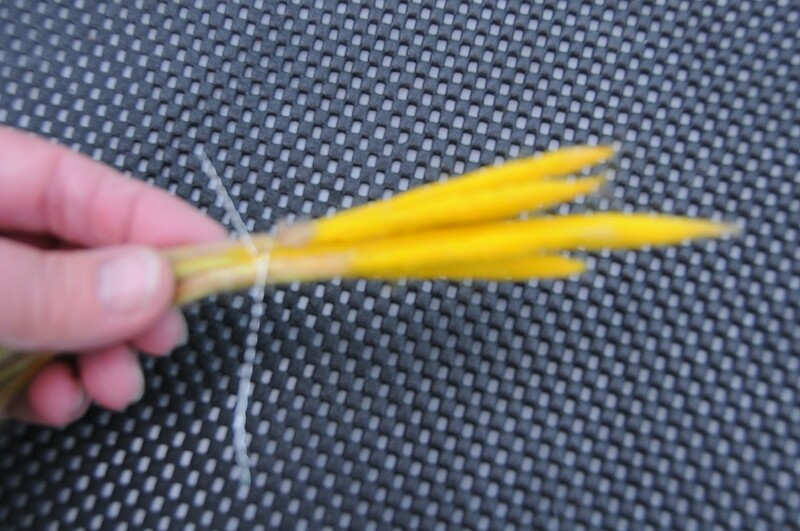 The four S's - prepare the frames for the 4 items and complete them in the same manner as the petals were done. Please see images below. 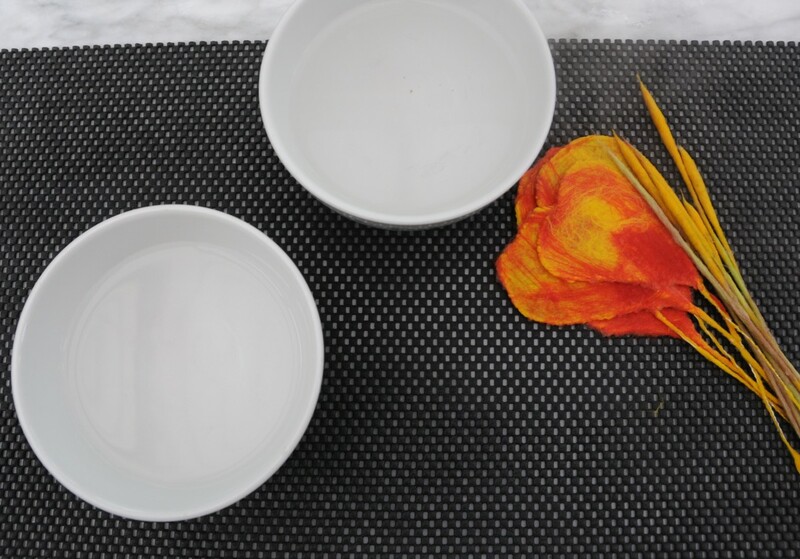 In this case, these items will be rolled rather than sanded - on a shelf liner such as this one or on a bamboo sushi mat. Both will work equally well. 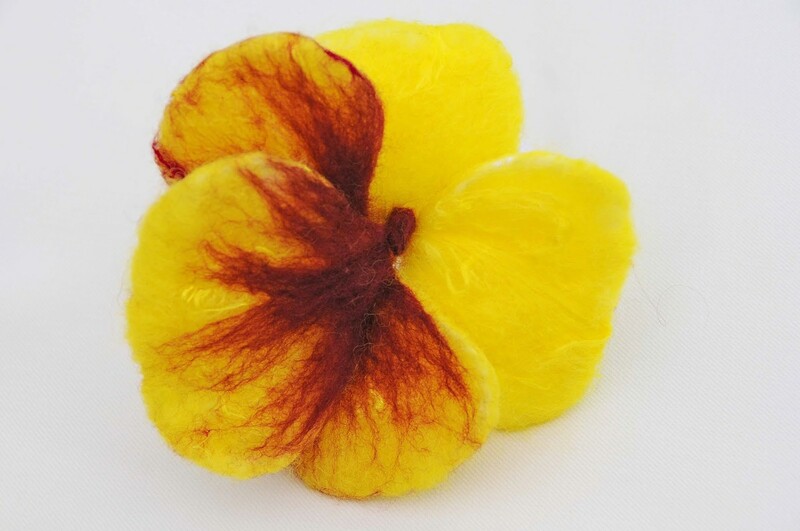 Use green roving for the stem and yellow for the style and stamens. Confine the yellow to the top end only. I used a mix of raw light beige Alpaca wool for the stem, coupled with tiny amounts of light green. 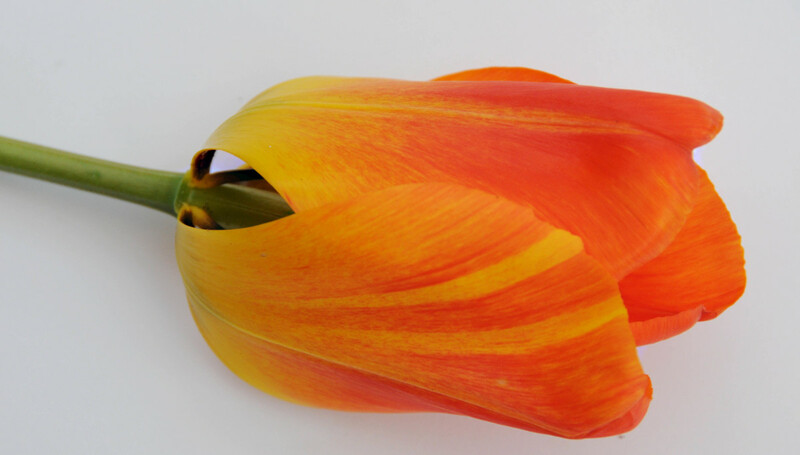 A Duck shelf liner was used for rolling and felting the stems of this tulip. Use a waterproof table or cover the table with a plastic tablecloth. I use is made of marble table but you could just place down another plastic sheet or towels placed on a wooden table. 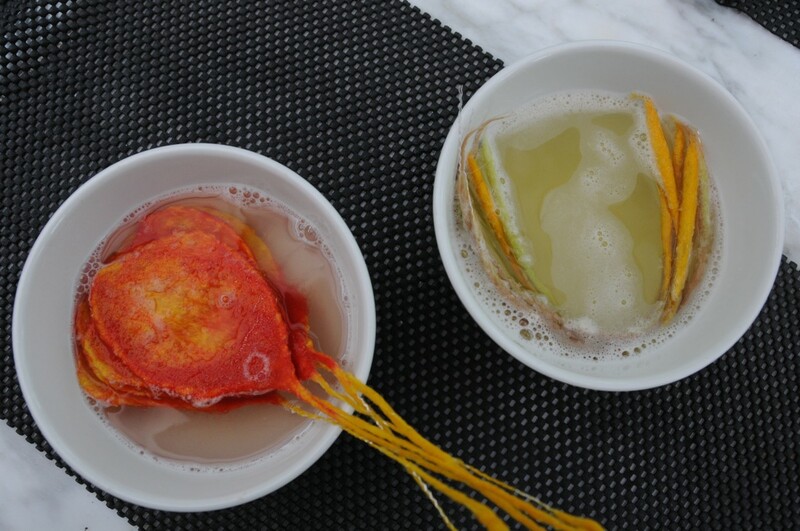 Wet the wool with hot soapy water in just the same way the petals were done. 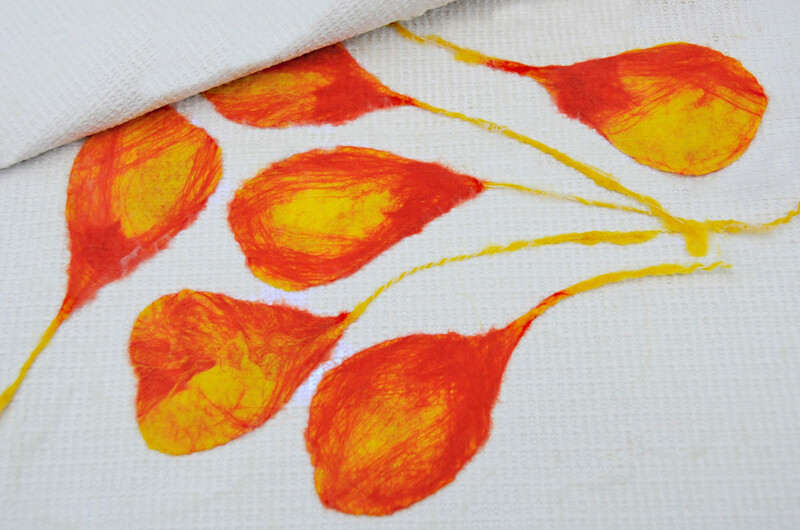 Add 2 layers of yellow to make the stamens and style more defined. Rinse all the items in hot and then cold water. 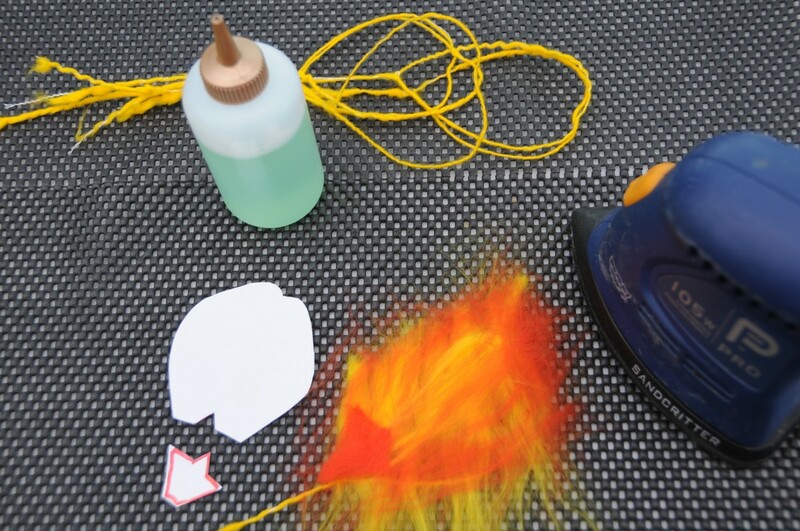 Make sure that the items are completely felted before you insert them into hot water. You should already have performed a pinch test. 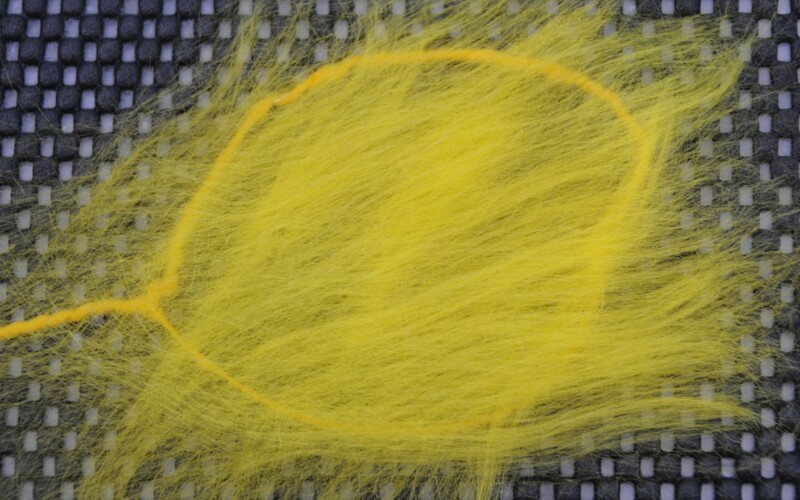 This is when the fibres no longer move when pinched with your fingers. 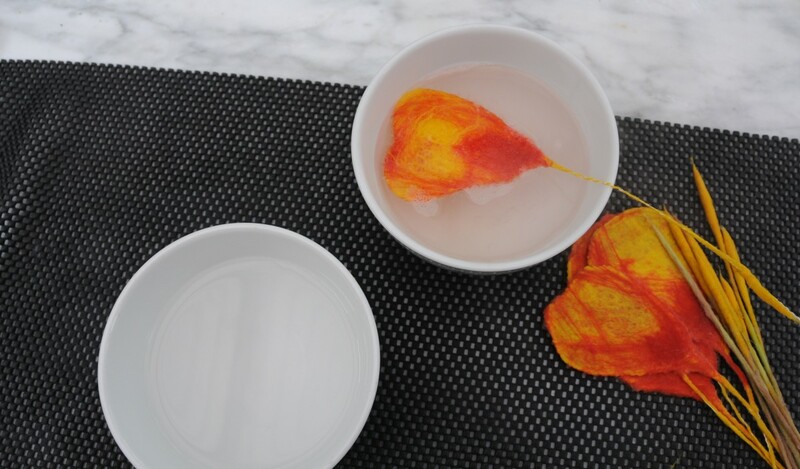 Drop each item into a bowl of hot and then cold water. Repeat once more for each item and then rinse thoroughly under hot water and then rinse with cold water with a little vinegar added to it. Repeat the process with with all the petals and the stems. Having completed the rinsing, I placed all the items on a hand towel and then covered it with a sheet of plastic. I then used the sander to help me remove any excess water and smooth pit the items to make them look crisp and fresh again. I was then able to assemble the tulips immediately. 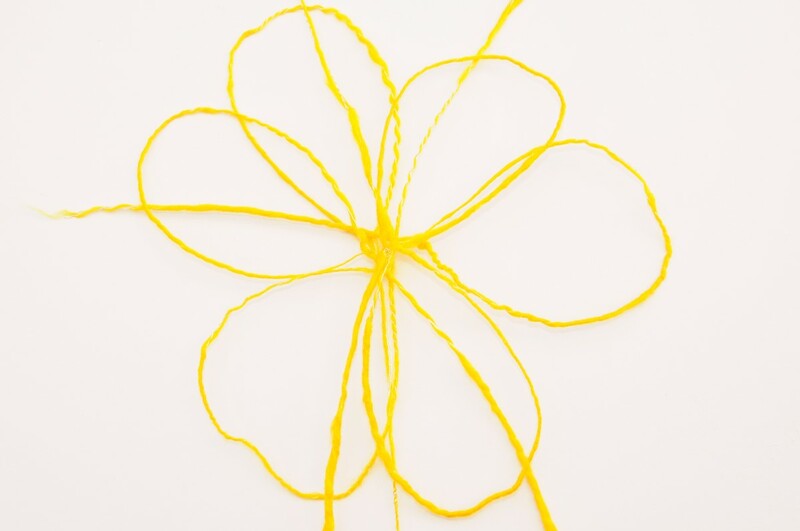 Tie florist wire around the stamens and style to keep them together. 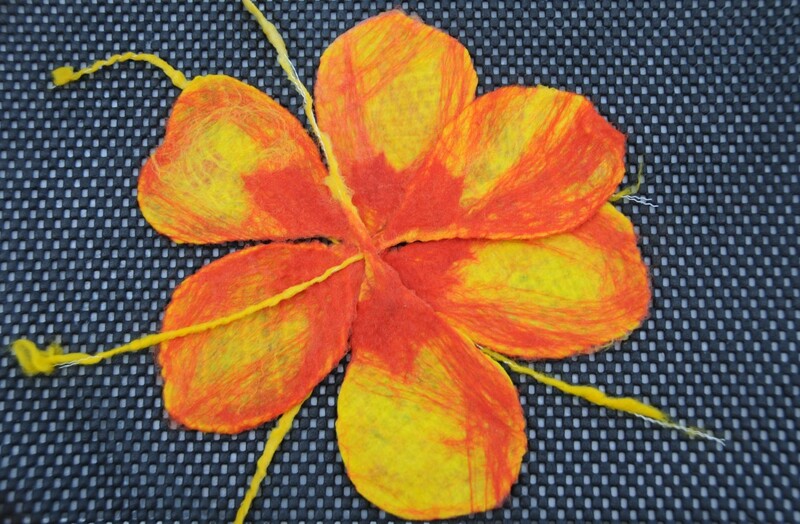 Put the style in the middle and then assemble the petals one by one, by first placing three petals around the stamens. Add another layer in-between the spaces made by the previous layer. 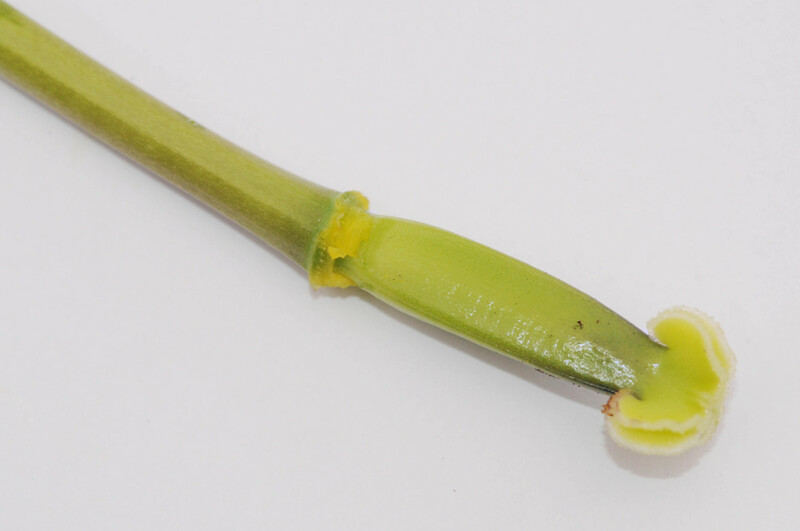 Twist all the stems together as shown in the image below. 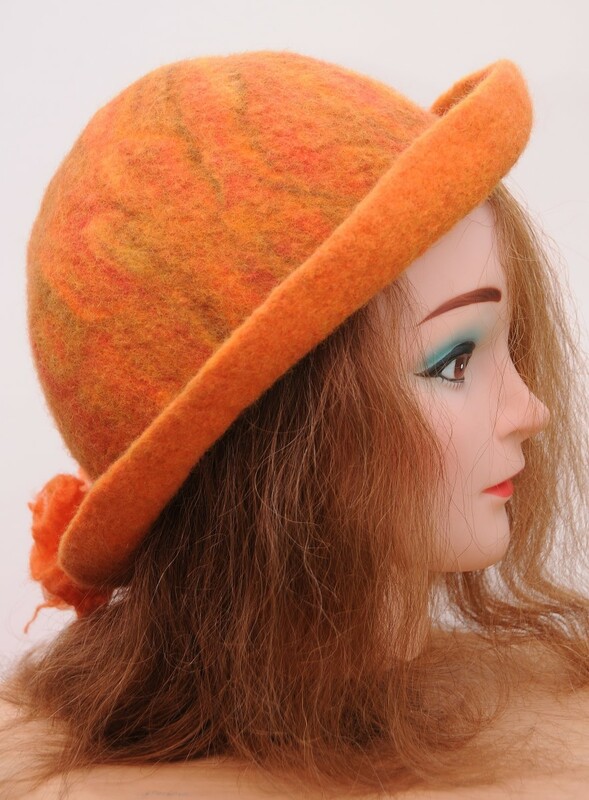 Is the Wire Frame Method of Felting one which appeals to you? 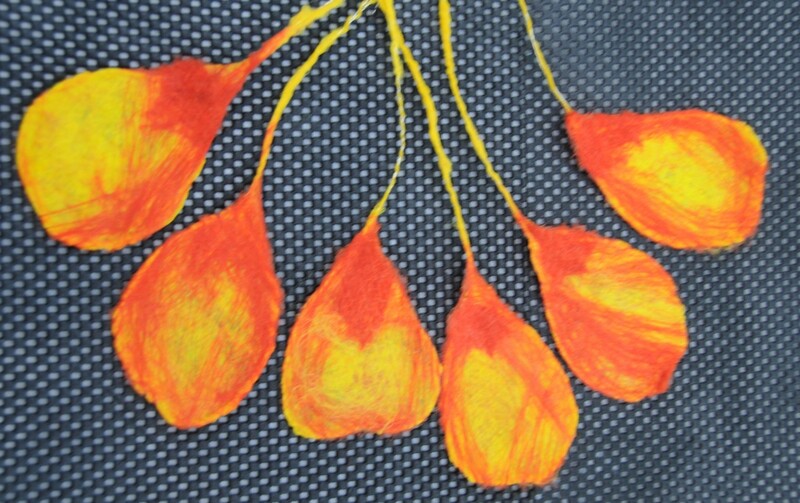 You are very welcome, I hope that you enjoy making these felted flowers. thanks for the how to steps. I can't wait to try this sooner rather than later. Best of wishes. 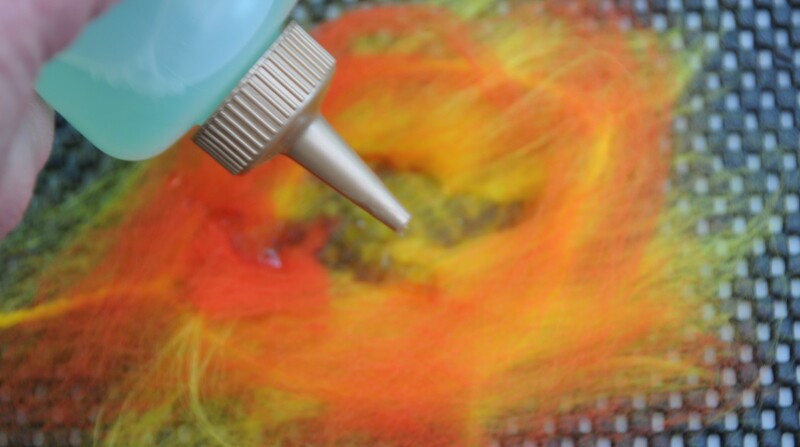 Glad you enjoy this wet felting tutorial. It is always pleasing to hear that the images I take are enjoyed by people who visit my pages. Thank you so much! Excellent tutorial with such perfect pictures! This certainly looks like a lot of work! I love how the pix of the whole process looks with the background you used. Thank you for the compliment. I am glad that you found the tutorial helpful. Your comment and visit are appreciated. Lovely! I saw . . . paper flowers, I think, in House Beautiful that were lovely, too-- and extremely expensive. Such detail in your project! You really take us step by step through the process, and the photos are a great help. Thank you so much, this was another project which gave me so much pleasure. 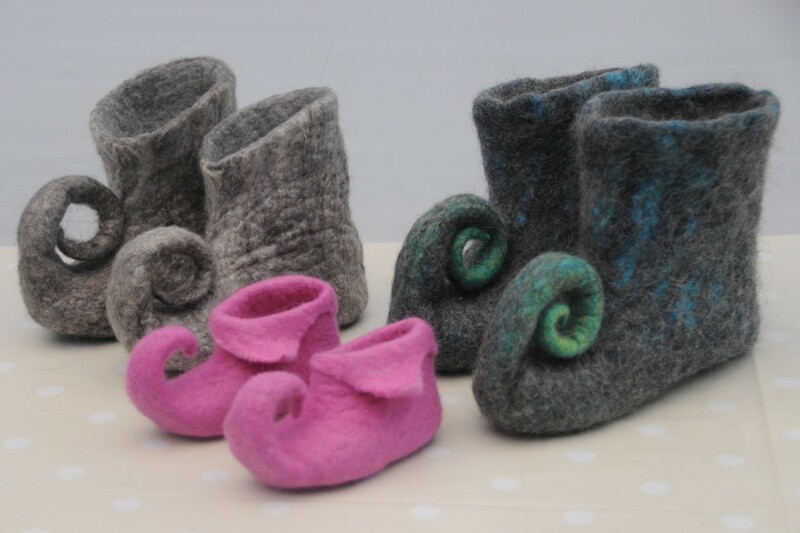 Wet felting is growing in popularity and it can be a very exciting medium to work with. I love discovering new ways to work with merino wool roving. The exciting part is that once one understands exactly how the wool will behave when heat and friction are applied you are almost there. It is so nice to have you return to one of my hubs. Wow, your work is amazing, truly I am in awe. 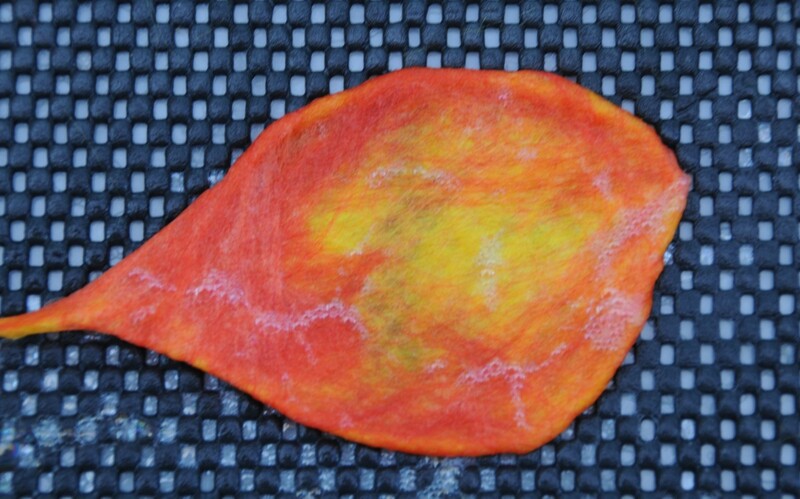 I love this tulip and this wet felting is a new area to explore for me, thank you so much just sorry I have been off the radar in recent months. Love this style and unique art! Neil Rose - lovely to find you back on one of my pages. 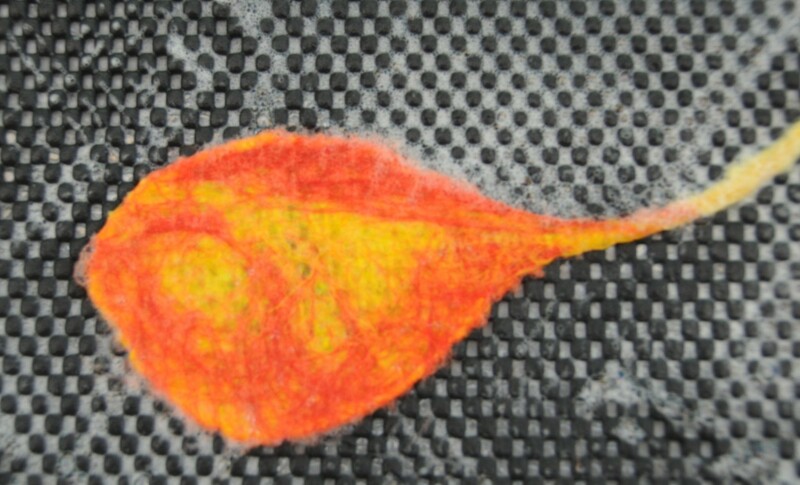 I am glad you enjoyed this wet felting tutorial. Oh wow! the patience you must have to make this! I would give up after picking the real flower! lol! But its so clever and beautifully done! Wonderful Sally! You are most welcome. Thanks for the vote up and the visit, it is much appreciated and I hope you are yours are enjoying your new home. Thank you once again sally for sharing another wonderful hub with us on here. Voting up for sure. 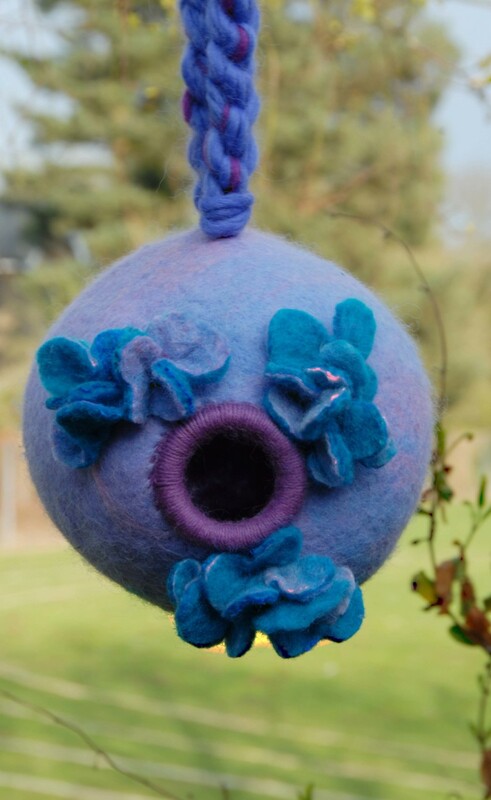 My object is always to try to replicate nature as far as is possible when making flowers with felt. I tried to combine my love for nature and macro photography with this hub. I was delighted with the end result and found that the technique worked very well for me. Thank you so much, especially for the vote up, awesome and pin. 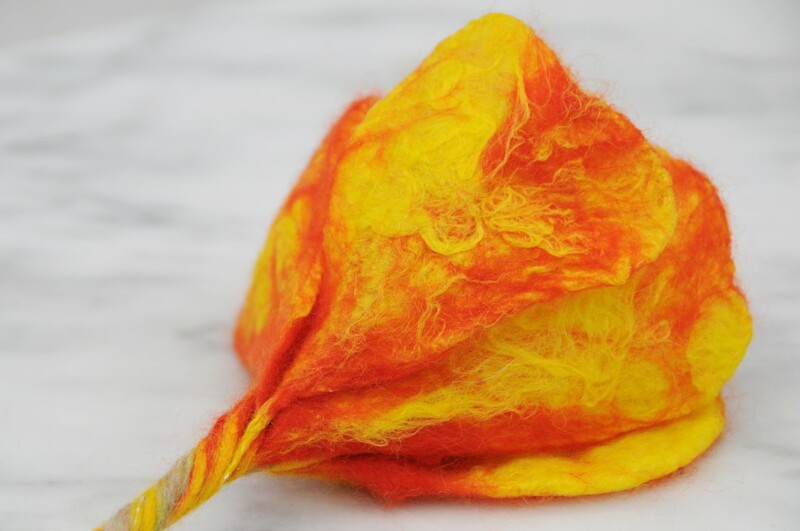 Wow, I really like how you show taking apart a real tulip to get a feel for replicating a felted one. Great pics, useful technical information - what a great hub! Voted awesome and up and pinned. 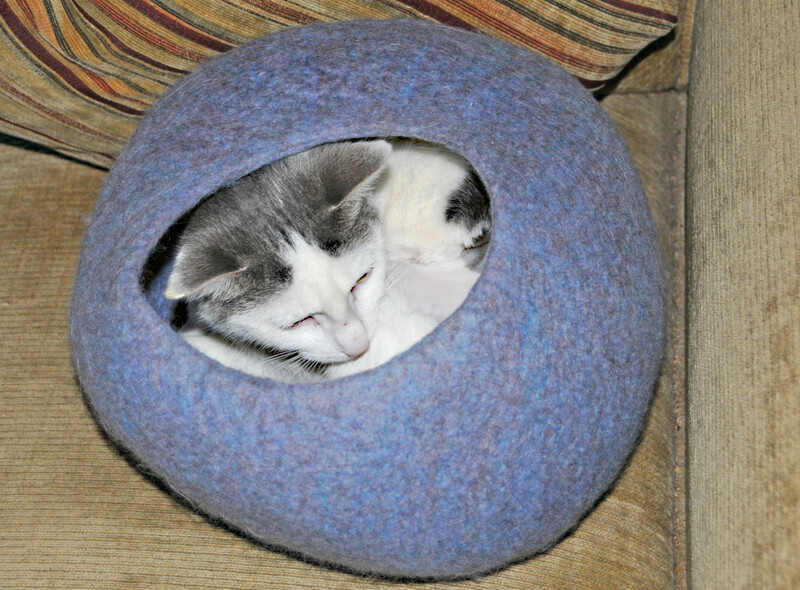 I am glad you have found the my felting instructions were clear and that the result was beautiful. Your comment is valued and very much appreciated, thank you so much. The clarity of your directions is amazing. Beautiful results. 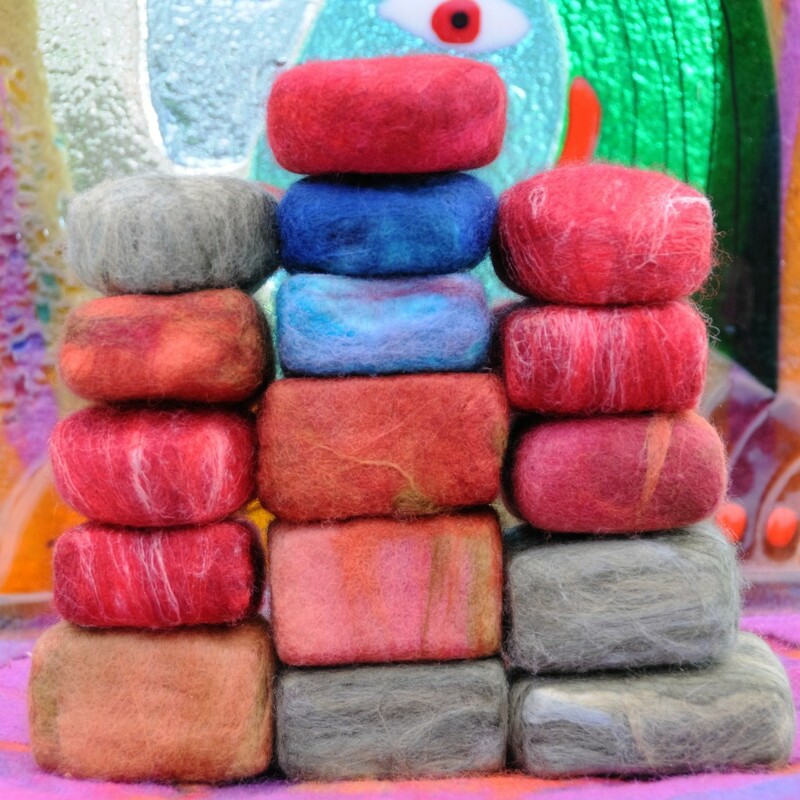 Since I have been following you I have been fascinated by how many felted wool masterpieces I have come across. I appreciate the very nice comment and more especially, your continued support. Thank you very much. Wow, ver detailed and impressive coverage of this art. Lovely flower! Thank you so much. I appreciate your continued support and your lovely comment. You keep amazing me what you can do with your imagination, patience and the right material. Beautiful. Yhank you very much. I am glad I was able to do this beautiful flower justice. very nice fotos of tulips! You are so very welcome. Creating a hub can sometimes be a real abor of love but receiving such a nice comment makes it so worth while. Thank you so much. I hope you have a lovely week-end. Hello miss Sally. I like your art's work. I admire your patience to create a beautiful tulip. I like your tulip. The colors are tone correctly. You did a fantastic well done creative hub. I love it. Thank you for showing your article. It is my pleasure and I do hope that things are going well with you! I appreciate your visit as always. Thank you. A wonderful hub Sally and thanks for sharing. YOU ARE TRULY ARE AMAZING! V+ for sure! Another stellar hub! Thank you so much! I appreciate your visit as always and am delighted to receive the like on Facebook and a Vote up. Excellent! No wonder your creations seem so real. You look to nature itself for your inspiration for the innermost segment to the outer petals. Your instructions with photographs are very clear. Voted up and liked on Facebook. 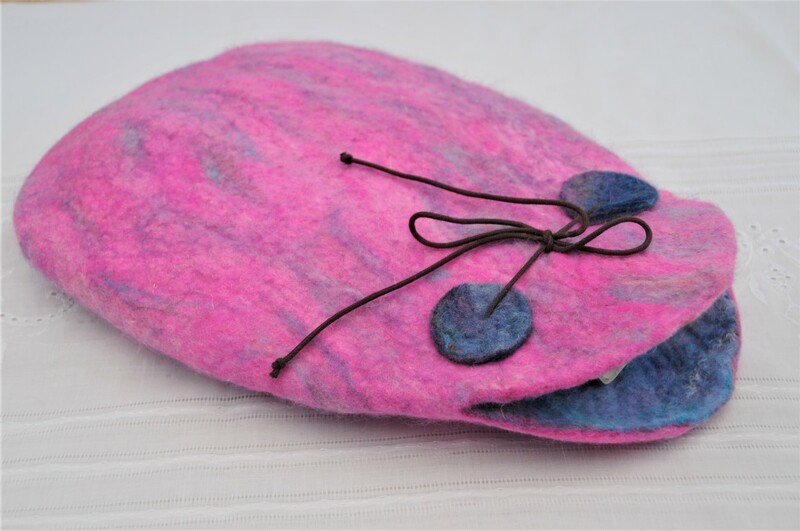 So glad you were able stop by to read this Wet Felting Tutorial which I very much enjoyed writing and taking the images for. Thank you so much. Fantastic photos and such a beautiful, colorful final result! Thanks for the detailed directions. You are very welcome. I really appreciate your stopping by to comment. I so enjoyed creating this Hub and am delighted that you enjoyed it. 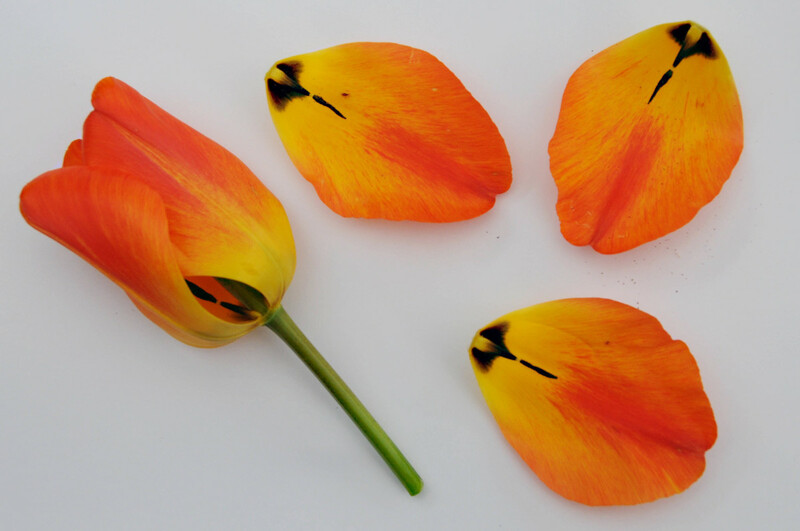 Tulips are my favorite flowers and this is just an amazing tutorial to duplicate their beauty in felt! Great project! Thanks for sharing!! Glad that you enjoyed this Hub. I tried to put a different slant on the whole process and I am so glad you think it worked. I very much enjoyed creating this Hub. You are so right, they don't last long at all. One really has to enjoy them whilst they are here with us. Thanks for the vote up, useful, beautiful and awesome - that is so sweet of you. The finished product was beautiful and the process very interesting. You have the corner on this market! A true expert! I had tulips just recently and it did not last longer. A beautiful flower with a vibrant color. Your helpful and always creative ideas are so interesting and informative. Voted up, useful, beautiful and awesome. I feel so much better for having completed this Hub now. Sometimes it feels like giving birth. I don't know what it is about creativity. It seems to grab one by the craw and won't let you go until it is done and spent. I very much appreciate your comments, especially re my photography as this is another great love of mine and I find myself sometimes betwixt and between but am so glad that I am able to combine my two hobbies. Thank you for the tweet, the pin and share and I do hope that you have a lovely week-end too. I am delighted that you stopped by. I think you are short changing yourself. 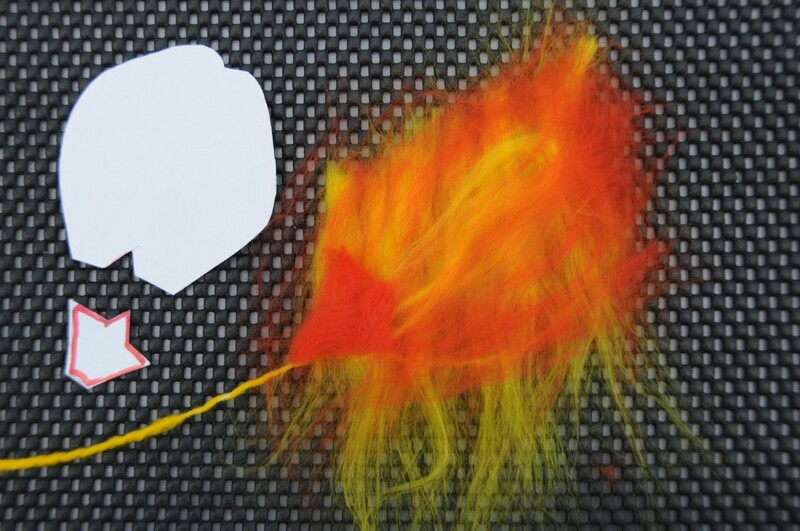 I am sure that anyone who followed these simple wet felting instructions with images could do a wonderful job. Thank you for the vote up. It is much appreciated. You have a great week-end. Thank you Billy, I appreciate your visit as always and hope that you are having a wonderful week-end. 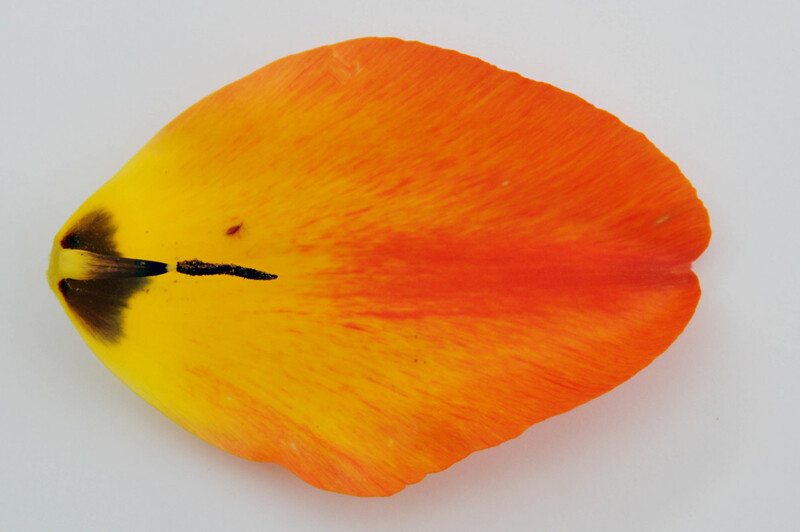 Dear Sally, you are a true artist and so wise to dissect a tulip to see exactly how it is made! 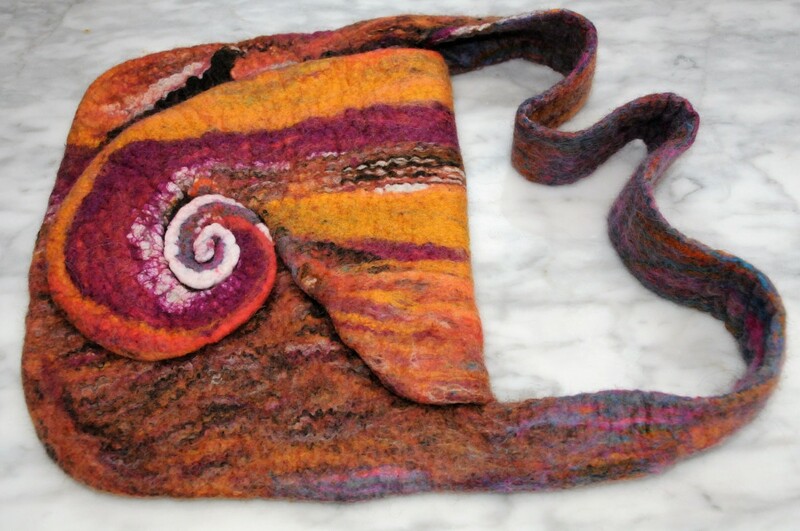 This is such a beautiful hub visually and with your attention to detail as to how to make a wet felted tulip in a wire frame is exceptional. Your instructions and photos are excellent and add much to helping the reader to visualize the making of the product to its completion. What an amazing artist you are Sally. Your results are stunning and so beautiful. The instructions and photos make it all look so easy, but I don't think my attempts would look as good as your flowers. Another great addition to this series. Well done, Sally! I hope you have a wonderful weekend my friend.